Ce document au format PDF 1.4 a été généré par Pages / Mac OS X 10.5.8 Quartz PDFContext, et a été envoyé sur fichier-pdf.fr le 26/02/2011 à 18:25, depuis l'adresse IP 87.65.x.x. La présente page de téléchargement du fichier a été vue 1934 fois. Taille du document: 2.4 Mo (51 pages). 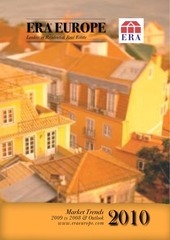 information on ERA Europe, visit www.eraeurope.com. goal of creating enduring, fruitful relationships with our customers be fulfilled. 2010: A tangible recovery in nearly every market where ERA Europe brokers are present. are important variations from country to country, each with its own market cycle and macro economic influences. Furthermore, differences were seen within county regions, as well as rural versus urban centers. remain fragile in many regions. pace of price declines, and in the stronger markets, actual price growth when compared to the first quarter of 2009.
perspective of each residential market where ERA Europe is present. the past 20+ years is clear (Chart 1). and Bulgaria and the Netherlands with approximately -30%, recorded the most dramatic drops in transaction levels. resilient in contrast to all other markets. securitization crisis resulted in significant attitude changes on the part of both consumers and lenders in Europe. lenders reassessed their underwriting conditions and the prices of their higher risk loans/products. improved housing affordability and some short-term recovery at the macroeconomic level. the previous quarter, in France, Germany and the UK. previous year, reaching historical lows in some markets. Zone lending rate which currently stands at 1%, at the same level throughout 2010.
fixed-rate mortgages are traditionally predominant. of Bulgaria, Italy and the Netherlands. residential property, they can be divided into three categories; structural, economic and opportunity factors. can emanate from local growth in population and population shifts in the form of inward migration. numbers of foreign economic migrants. 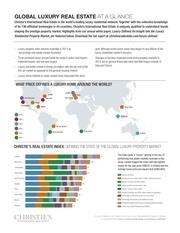 There will be long term growing demand for residential property if there is net growth in population. move into the family forming age group of 30 to 40 years. capital (percentage of loan to value) at an affordable interest rate. double-dip recession set in, many positive results have been recorded during the initial months of 2010. 7,0% in March. The US housing market peaked in 2006 when nearly 7 million housing transactions closed. inventory is 2,7% higher than a year ago, but remains 11,6% below the record of 4,58 million in July 2008. April 2009. Distressed homes accounted for 33% of sales in April, compared with 35% in March. could potentially fall even further by another 5 percentage points to levels seen in the mid 1980’s. increases, pursuit for urban centers accelerates. about one-third of the demand for housing. live in the city center or in the immediate vicinity,. purchasing a home in the city. while only 25% is willing to live in old buildings. renovated, modernized and made more energyefficient in an effort to improve their salability. buyers is four times as high as the number of sellers. these developments may affect the mortgage markets. transaction levels and interest rates. investment for people with cash. was 5,6% less for the year. most other European countries and the US. to just under 5% from a little above 6% in late 2008. 4,5% at the time of writing. the high levels seen in 2007 for some time. when rates go up, instead they just buy at a lower price. the properties while 5% are rented out. biggest decline on annual basis reported thus far. data provided by Registry Agency, Ministry of Justice. number of transactions when comparing the periods. apartments (on average 5% and 4%, respectively). on the dynamics of housing prices in Bulgaria. reached 2008 levels and exceeds € 40.000.
built apartments have decreased approximately 3%. buyers and sellers of real estate. credit transactions agreed to before the crisis occurred. buyers in the middle class returned to the market. adapt relatively painlessly to adverse external shocks. fine of 100 to 250 Leva. technologies, in banks or in private medical practices. 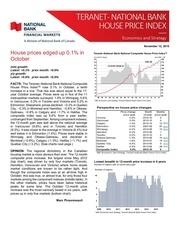 pressure on demand expected to result in another challenging year for the residential market. rose consistently at a healthy pace of 8% annually. to stray from their real value and affordability levels. reflect market trends and economic situations. average than the asking price (Czech Statistic Office). occurred for the first time since the start of the 90´s. certain to ever be launched. In February 2010 the situation had not yet improved. approved 50% more mortgages than in February 2010.
prices will increase by 6% and in 2011 by another 3%. could not rival the record transaction figures of 2007.
estimated at 60% with average broker fees of 5,21%. homeownership and not investor driven purchases. more modestly than anticipated in early in 2009.
unemployment, inflation, and their capacity to save. Calais (€128.000), le Nord (€140.000) and the LoireAtlantique (€175.000). Champagne-Ardenne, Picardie, Alsace and FranceCompté. figures for the first quarter of 2010.
far in (first quarter) 2010.
largely contrasts the turmoil seen elsewhere in Europe. understand these low rates will not last forever. smaller cities and rural areas edged downward. buildings increased by 0,4% (to € 1.066 per M2). because of the favorable conditions. stay put for now, until the situation becomes clearer. +3,5% (to €2.330 per M2). had to seek international assistance in April 2010.
and slightly higher in other areas. away from inner city quarters now rapidly repopulated by economic immigrants. estate transactions closed was recorded in 2009.
also must place a large down payment. additional taxes are expected to be levied on property. which was published in the daily press. in different degrees depending on local parameters. Further declines in both prices and transactions, though pace slowing thus far in 2010 with regional disparities. variations&quot; says Frank Doonan CEO of ERA Ireland. price drop off peak 2006 prices of 37%. 27% price decrease from peak. guide your house for sale. when compared with the previous quarter. 2009, 65% less than in 2008. €206.865 in quarter four of 2009.
created National Asset Management Agency (NAMA). recapitalize the banking sector on taxpayers’ behalf. average decreased by 40%+ since peak in 2006. South where the average asking price rose by 1.1%. quantity of transactions as opposed to prices. dropping to a total of €109 billion. time there was also an increase in yield. weak and prices are not yet showing signs of growth. in prices that could be indicative of a comeback. declining, albeit in a limited manner. mortgages helped sustain the demand for dwellings. higher priced areas and/or homes has waned. make on where to work and live. will banks finance these properties. Government has its own real estate projects to sell. Government to present a better price/quality ratio. the properties offered on the market. loans for periods up to 20 years. market value and no goodwill. much too high and in doing so would lose money. the risk they were taking when buying a home. opportunity was not the huge dreamed of success. pattern of occasional recovery and relapse into inertia. man power compared to their size before the crisis. homes: lower their price until homebuyers do respond. neither willing nor able to lower their asking price. possible price for a home. they cannot be retracted from the market. severe retraction of the economy in 2009.
unemployed people, or a 10% unemployment rate. 150,000 properties sold in 2009). activity is at its lowest levels in the past 15 years. for Portuguese families in 2009 was roughly 3%. not yet sustainable, of the buying and selling process. services to sell their houses. living alone (including divorced people). influence on an already fragile housing market. mortgage requirements; 2010 shows a continued downward price trend. relatively high number of homeowners (97%). housing stock is very low throughout the country. 384 units per 1.000 inhabitants. remaining 48% were built in the rural areas. 1.700 had real estate as their main business activity. for good while others intend to so only temporarily. supply below the market average. and in certain locations far from the central Bucharest. media and tighter bank polices for mortgages. lower than €1.500 per M2 . prices, but were flexible when negotiating with clients. methods to temporarily avoid bank financing. ratios or that were located in prime residential areas. 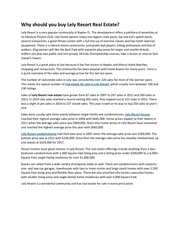 properties at a higher price within the same complex. while the other cities remain quite ‘undiscovered’. number of people to the capital city. ranking city, Constanta (south-eastern Romania). dropped by 20,1% to €1.031 per M2. annual increase (March 2009 to March 2010) of 5,1%. flats dropped by 5% over the same period. compared to 2008, down to 353.000 transactions. the commercial property rental market dropped 60%. units), a 63% contraction compared to the year before. reduction in end-users’ demand was 50% in 2009.
was significant, with a peak recorded in January 2009.
compared to other European countries. 4,31 RON/Euro registered in the first quarter. tempered or even cancelled out in some cases. stateless people domiciled in an EU member state. stateless people not from an EU member state. and year the property was built. to continue a declining trend, but at a slower pace. 2010 compared to last year. significant role in the high level of homeownership. factors to the high percentage of homeowners. in buying a home through a condominium conversion. metropolitan areas and 74% in Stockholm. their own place to an ever increasing extent. agencies have between 20 and 80 employees. Twothirds of all agencies have 2 or less people employed. results in an 18% higher sales price. previous year (2008) a 6,38% year on year increase. total numbers of real estate transactions. sale, probably due to a more secure financial market. sold for €315.199 in 2008.
almost no installments on the first mortgage loans. see that the housing price increase all over Sweden. The average price increase during the period is 9%. The largest percentage change in Stockholm by 13%. the prices will probably continue to rise. then another increase to 3% is anticipated by 2011.
in the future. However, this is yet to be seen. other European countries, there was no crisis at all. showed a slight decline of 0,04% YOY change. prices rose at around 3%, while in previous years (e.g. Seeland, Baselbiet and surrounding areas. Canton were over 1 Million CHF and in Zurich 40%. Construction activity has been robust for several years. again, then there is a preference for rental apartments. of the end of 2009 were 1.315 billion CHF. Bank and the tighter controls. expansion in the economy will continue. steam engines of the Turkish market place. mismatch between supply and demand. positive indicator of a revival in the market. third quarter, adding up to a total of 116.229.
of transactions since the fourth quarter of 2007.
transactions for the remaining cities was 60.542. Bursa +0,55% Adana +0,26%, Antalya +0,55%. recorded are respectively; 3,1%, 0.4% and 5,2%. 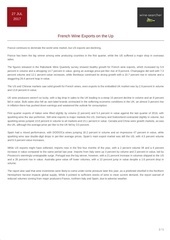 final quarter of 2009 a modest increase was recorded. banks are permitted to issue mortgages. quarter of 2009 and through the first quarter of 2010.
however, a further decrease is not likely at this point. mortgage to GNP will still remain at a very low of 4%. Ce fichier a été mis en ligne par un utilisateur du site. Identifiant unique du document: 00041050.